There’s something about a great bowl of soup. Consuming it is comforting and fulfilling. Yes Indeed. BUT – making a great pot of soup can be the highlight of an entire day. The gathering, the sorting, the decisions and then the making of a pot of soup brings out the goodness in people. Time slows. Conversations starts. Memories are made. The Wine Diva has a great new list for all of us who spent waaay too much over the Holidays. The Diva has reviewed all these wines under $17.00. 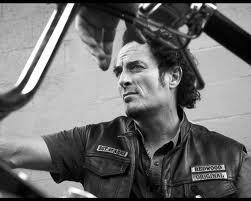 The Pride of Saskatoon, Kim Coates is a floor wax AND a Shampoo..A Canadian AND an Actor. 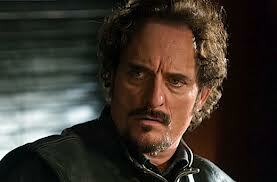 He currently stars as Tig Trager in the FX series Sons of Anarchy. Tig knows his Tannins. Then it’s a Soup Special. I’m crazy about well made soup and I’m not the only one. 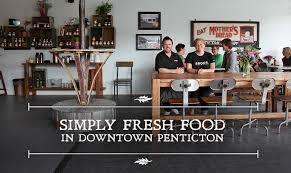 We welcome soup chefs from Brodo in Penticton, Vancouver Culinary Institute and North Vancouver’s The Soup Meister. The Wine Diva , Daenna van Mulligen tastes a LOT of wines..Over 2,000 bottles this year alone. Besides reviewing the best ones, she also keeps a list of exactly which wines are cheaper keepers . This list this week features 41 great wines UNDER $17.00. If you’re looking to budget this month, then this list is for you. And you can thank the Wine Diva for the bargains!! 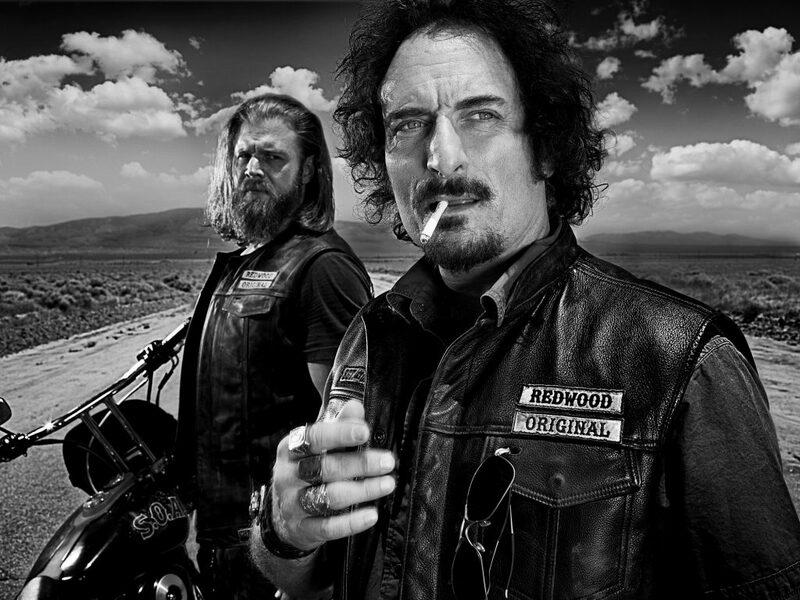 Kim Coates is a heck of an actor. He’s currently preparing for Year Seven of Sons of Anarchy, the FX Series that’s wildly popular. Kim was born in Saskatoon but he quickly moved into acting and spent considerable time at Stratford. Playing Macbeth during one season at the Stratford Theatre. His next challenge was New York City, where he played Stanley Kowalski in A Streetcar Named Desire. Then it was on to Hollywood. 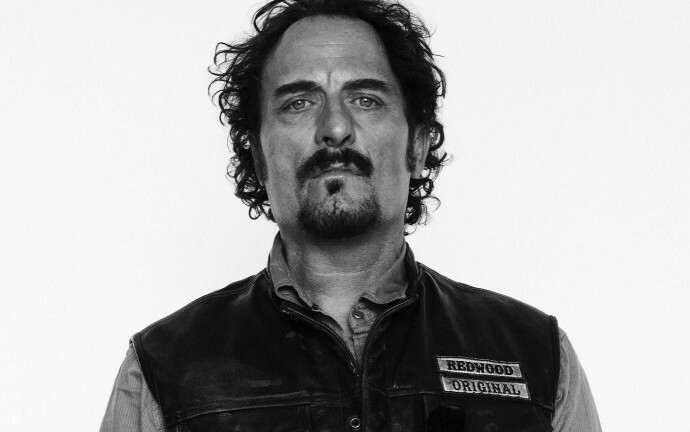 Kim Coates is what you call A Working Actor. However, we’re about to find out what he knows about wine..it’s going to be fun. I have this thing about great soup. Makes me happy and I believe I’m in the Majority. This is our first soup special and it kicks off with a Kick Off. Please. Let me explain. Dine Out Vancouver kicked off this week with a 50 chef soup. 50 Chefs each brought one ingredient (of their own choosing and with no advance coordination) to contribute to a communal cauldron. Under the watchful eye of Pacific Institute of Culinary Arts (PICA) Executive Chef Julian Bond, students struggled to keep up as endless ingredients streamed in, spanning the gamut between customary (celery) and downright wacky (raw cacao). Over the next few hours, the team seasoned, simmered and stirred the concoction into some semblance of appealing soup. Produced by Tourism Vancouver, Dine Out Vancouver Festival is a city-wide celebration of eating out, attracting tens of thousands of local and visiting foodies to Vancouver’s exceptionally diverse collection of restaurants for 17 days. Now in its 12th year, Canada’s largest restaurant festival allows diners to sample menus from hundreds of restaurants around the city, all for a prix fixe cost (price points are $18, $28 and $38 per person) and many with suggested BC VQA pairings. We talk to Lucas Pavan, Team Leader of Dine Out Vancouver and PICA Executive Chef Julian Bond. Then it’s off to Brodo in Penticton. 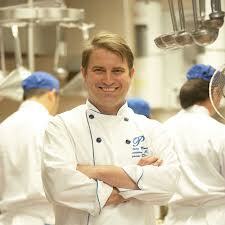 The chef/owner is Paul Cecconi who has a track record in competition, as one of the best soup masters in the West. He was the chef at Local Lounge and Grille in Summerland but decided to open his own room when Amante went sideways. Paul is one of the best natural chefs I’ve run across. He has a ease in the kitchen that lets you know great food is being created. 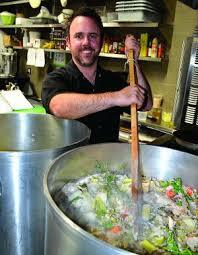 He won the Stone Soup Competition in Kelowna and then went into Vancouver to compete in the Chowder Championship. He won that too. Paul gives up a couple of do’s and don’ts about making the great pot of soup. Opened in May 2013, BRODO features locally-sourced ingredients in a variety of soups, sandwiches and salads, and the menu changes seasonally to reflect what’s fresh from the harvest. Unique to Penticton, the “flight of soups” has been a hit since opening — three soups to tempt taste buds, paired with a salad or sandwich. BRODO’s service is fresh and fast, true to Chef Paul Cecconi’s motto: simply fresh food. …and we finish this Soup Love-in at The Soup Meister in the Lonsdale Quay North Vancouver. Ralf Daun has the slickest kitchen on the North Shore. Teams of assistants greet the daily customers. Each one of them slicing, dicing and sorting the elements for the four daily soups. Overseeing it all is Chef Ralf Dauns. The Soup Meister was born in the Reil, Germany, which is a small European village that sits in the heart of the winemaking region of the Mosel. 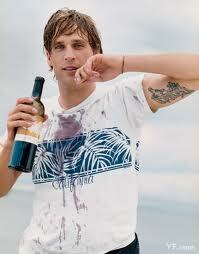 He was raised on a vineyard and guesthouse where he learned the winemaking processes at a very young age. His experiences working in the guesthouse are what sparked his passion for cooking. His family is still very much involved in the business. 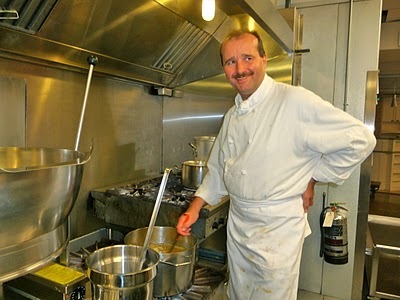 He spent many years leading culinary teams in hotels all over the World. While at the Intercontinental in Nairobi Kenya he cooked for Nelson Mandela, President De Klerk, and His Highness the Aga Khan . 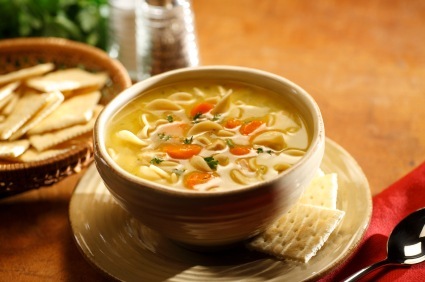 Any chef who creates and serves four amazing soups every day is the perfect guest to finish our Soup Special. Have a bowl. Make yourself happy. The Food Trucks of Vancouver. 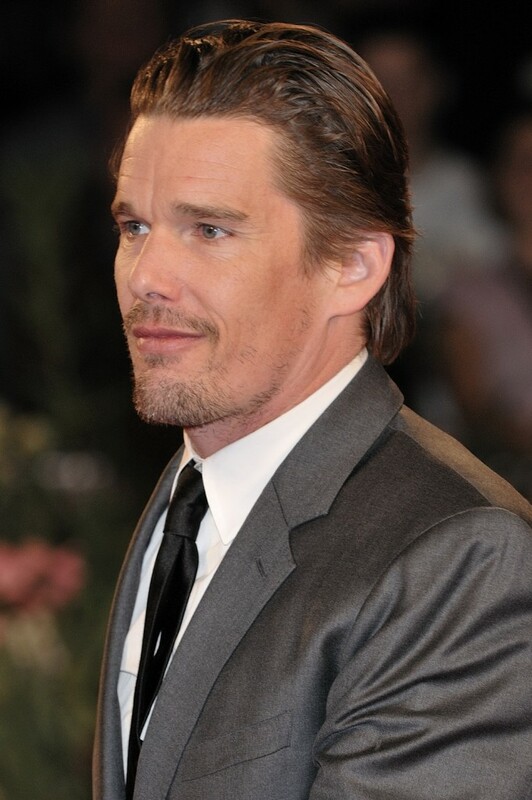 Ethan Hawke..who’s being honoured this week by the Broadcast Film Critics Assn and is appearing on Broadway in MacBeth joins TDM. The Wine Diva looks back at her very busy 2013. 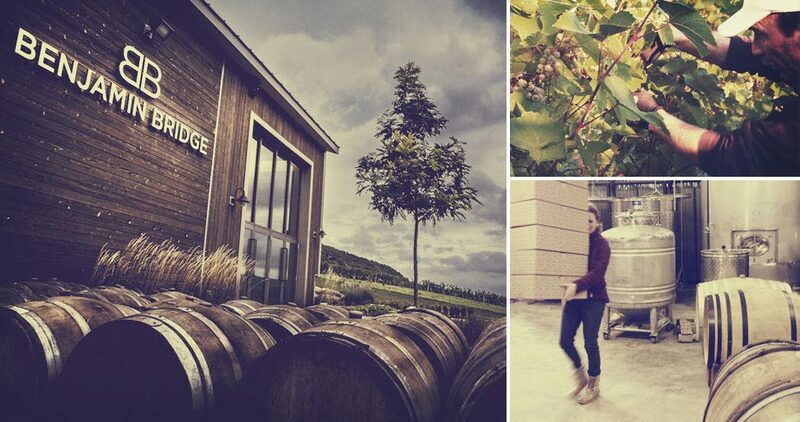 And we visit two wineries, worlds apart. Stefano Chiarlo at the PALAS Cerequio La Morra in Barolo and Allison Moyes/Tim Martiniuk at Stoneboat in the South Okanagan. Always wonderful to kick off a show with another Wine Diva List. This week is slightly different as Daenna runs down the highlights of a very busy 2013. Trips through Argentina and France..wine festivals, one-of-a-kind dinners and over a 1000 bottles tasted. Its a great read www.winediva.ca. Look under Articles. Speaking of 2013, following our trip to Barolo there was one more village and winery and winemaker we wanted to find. 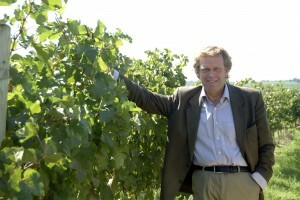 The Winemaker was Stefano Chiarlo. 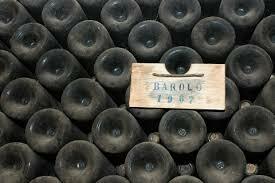 The small medieval town in Barolo was La Morra. We arrived in a morning Fog, inside and outside the car. THERE IS A PLACE WHERE EVERYTHING HAS BEEN CONCEIVED SO AS TO BE EXPERIENCED AND SAVOURED CALMLY IN THE HEART OF A GREAT BAROLO VINEYARD BETWEEN PAST AND FUTURE. Stefano’s family have been making wines here for many many years. They own vineyards that other labels can only dream of. 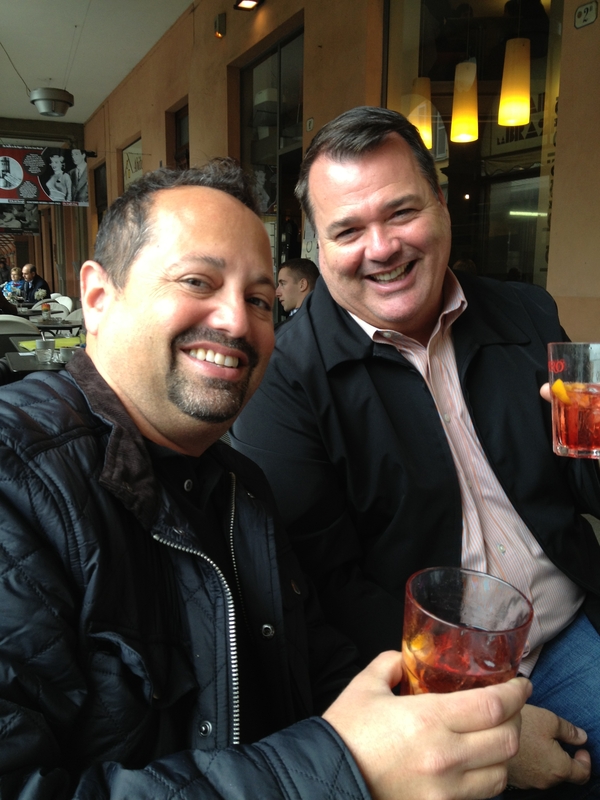 Have a listen as Stefano takes us on a journey of time and wine. This week Matthew McConaughey will present Richard Linklater, Julie Delpy and Ethan Hawke with the Critics’ Choice LOUIS XIII Genius Award. The Award recognizes “an unprecedented demonstration of excellence in the cinematic arts.” The trio of collaborators are being recognized for creating one of cinema’s most compelling and unique romantic sagas. The genius of their approach to this extended love story lies in its unvarnished honesty. Nearly 20 years ago in the film “Before Sunrise,” a romance ignited between two soul mates on a train to Vienna and defined a generation. In the decades that followed, that generation grew up and the complicated characters played by Julie Delpy and Ethan Hawke have matured right along with them. In 2004’s “Before Sunset” and last year’s “Before Midnight,” the conversation between the French Céline and American Jesse continued to unfold in real time – a sort of special cinematic effect which has long fascinated Richard Linklater. Ethan is currently appearing in MacBeth on Broadway and took time to take my phone call. I once played his Father in a film so at least he knew who was calling. 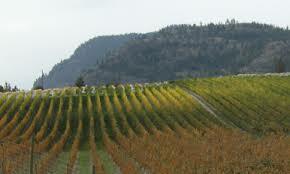 Every week I’m asked “what winery in BC is well under the radar and most people have missed and is worth my time?? Same answer every time – StoneBoat. They’re halfway between Oliver and Osoyoos in the South Okanagan on Road 9. Small and quiet. For the second year in a row they’re won a Lt. Governor’s award. Over 400 wines are entered…Only 11 are awarded each year. Last year it was their Chorus blend. This year it’s their Pinot Noir. 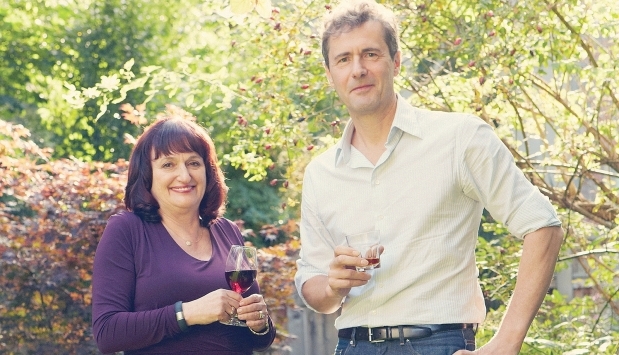 We talk to new winemaker Alison Moyes and principal family member Tim Martiniuk. Devin Cuddy talks about touring with Blue Rodeo, working as a waiter and Dad Jim’s “decoy” bottles of plonk at home. Then the best winemaker in the world in 2012..Jorge Riccitelli at Bodega Norton in Argentina. Two wines from The Okanagan. One you might not yet be familiar with (but you will) and one that leads the pack. 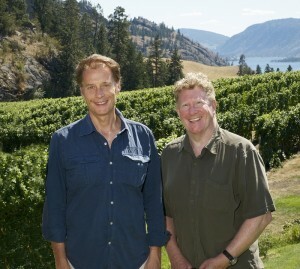 Bruce Schmidt from Intersection in Oliver and Ian Sutherland from Poplar Grove on the Naramata Bench. Then A serious chat with two wine minds. David Scholefield from Haywire and Okanagan Crush Pad in Summerland and the World Famous Wine Consultant he works with Alberto Antonini. 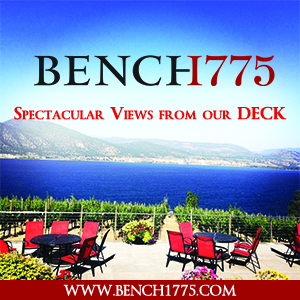 We talk about the past 2 years in the Okanagan and where the region is headed. 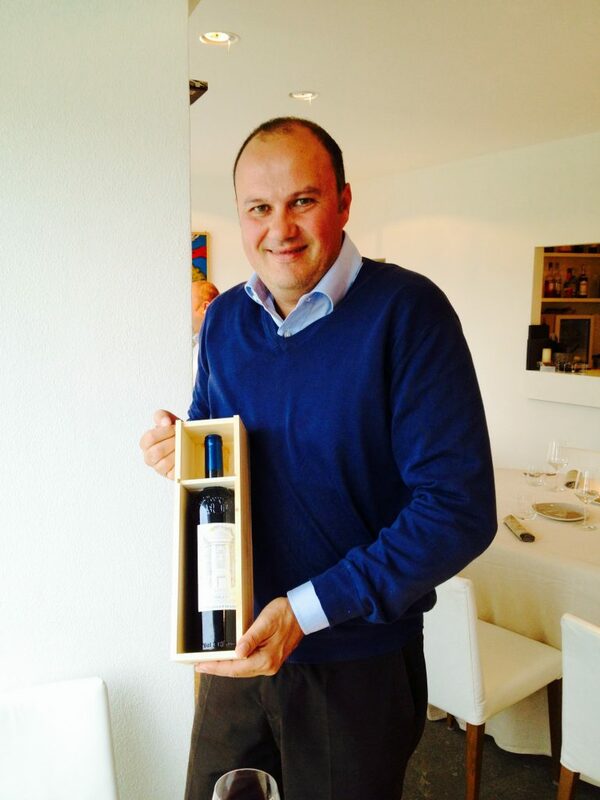 And finally… Nicolo D’Afflitto the chief winemaker for iconic Italian winery – Frescobaldi !! 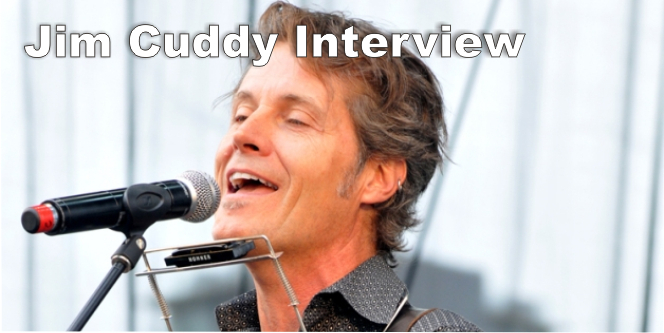 Yes, he’s Jim Cuddy’s son but he’s well on his way to being his own man with his own music. Plays piano like he grew up in New Orleans..has a nice loose singing style..the kind of style that people really take to. 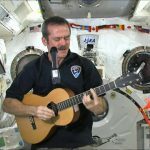 We found him on tour with Blue Rodeo but Wednesday , Thursday and Friday after the BR gigs he does his own midnight shows with his band. While the music took shape..he was a waiter for 6 years..so we talk about that time. He also has a great story about Jim leaving “decoy” bottles of wine out on the kitchen counter when Devin was home with his friends.. The good stuff in Jim’s cellar stayed locked up in the basement!! 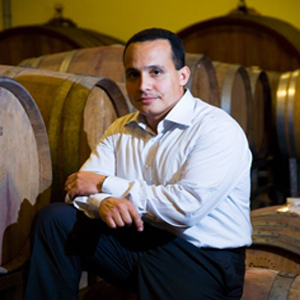 For the first time in the history of the “Wine Enthusiast Wine Stars Awards”, a South American winemaker was chosen as “Winemaker of the Year” by the prestigious magazine Wine Enthusiast in 2012. Jorge Riccitelli has been working as Chief Winemaker of Bodega Norton since 1992, after his long experience in other regions of the country. He has created well-known wines such as Norton Malbec D.O.C., the internationally awarded Norton Reserva Malbec, the successful Norton Cosecha Tardía Dulce Natural and sparkling wines such as Norton Cosecha Especial, among others. Check him out on Tasting Room Radio. Bruce Schmidt – Intersection South Ok , manager at Calona Wines in the early 1980s. 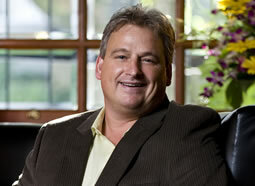 In the early 1990s, he ran a company that helped raise financing for the start of Blue Mountain Vineyards & Cellars. 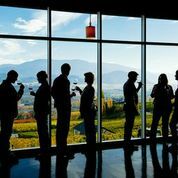 He remained a Blue Mountain shareholder for 18 years and regards that winery as an example of how to do things correctly in the wine business. Intersection now has 20,000 closely-packed vines on 10 acres. Cabernet Franc and Merlot are the reds and the whites are Sauvignon Blanc, Viognier, Marsanne and Riesling. Ian Sutherland, was inspired by the Naramata Bench’s ability to produce exceptional fruit and decided to dedicate his entire eight acre property to premium grape production. 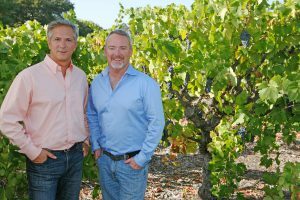 It was this initial decision that helped to define Poplar Grove’s present goal: to produce world-class wines from family owned estate grown fruit. 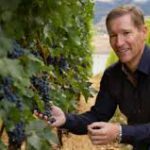 When Tony Holler invested in Poplar Grove, the Holler family brought with them 110 acres of prime vineyard sites located throughout the Okanagan Valley. The vineyard acres are appropriately named Holler Estate Vineyards. The Holler Estate Vineyards allow Poplar Grove to produce 100 percent estate grown top quality wines. 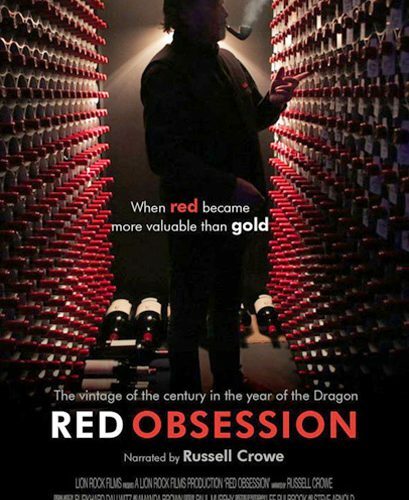 There’s no better interview in my wine world than Ian. Enjoy!! Haywire refers to wire once used for baling hay, which tended to tangle in a chaotic way It is also an apt description of Christine Coletta and Steve Lornie’s transition from city slickers to farmers and winery owners. Of course, they cannot do it alone. To shape their wine style, the couple is joined by the talented Michael Bartier, working with David Scholefield and consulting winemaker Alberto Antonini from Italy. 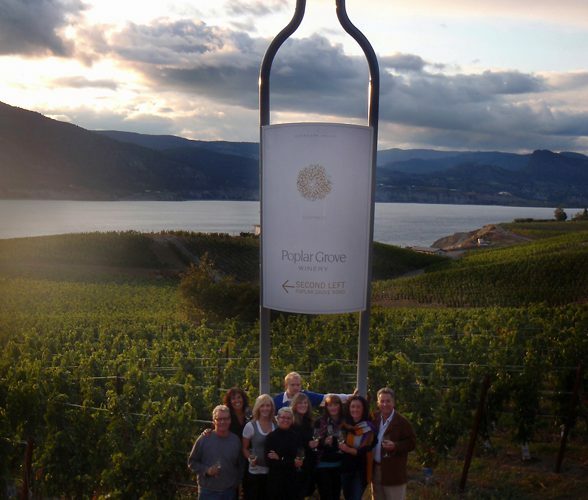 The wine is made at the couple’s Okanagan Crush Pad Winery in Summerland, BC. Okanagan Crush Pad is a 30,000 case facility that makes Haywire, Bartier Scholefield and many other fine wines for grape growers who are emerging BC vintners. I had the opportunity to sit down with David and Alberto to talk about their wines from the past 2 years and the talk turned into the future for them and the Okanagan. Alberto and David have been friends for years. David pointed out that jet-setting consulting winemaker Alberto, who makes wine in several regions, is the only winemaker to consult in the southernmost wine region, Patagonia, as well as the Okanagan’s northernmost! He visits four times a year for several action- packed days. His advice has been invaluable. This segment is pure wine talk.. no BS. If you’re in the wine business, dream of being in the wine business or are just a wine fan..listen up. These guys are the real deal. Here’s how cool Nicolo D’Afflitto’s job is. 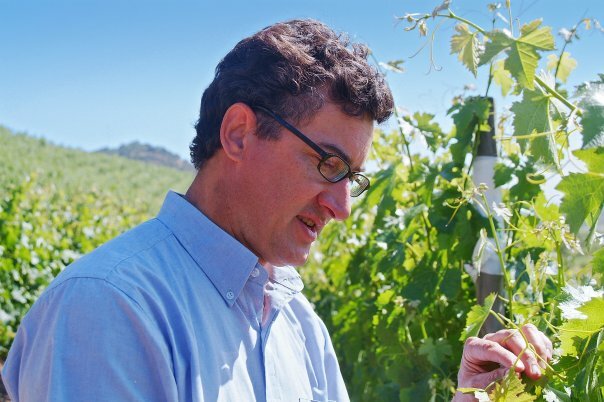 He’s the chief winemaker for Italian wine giant Frescobaldi. Frescobaldi began making wine in 1308. Two of the first clients were dudes named Michelangelo and Henry V111. They still have the paperwork. In 1995 the Marchesi de Frescobaldi partnered with Robert Mondavi to produce Tuscan wines. In May 2006, the Frescobaldi family merged their wine holdings into a new venture partnership, Tenute di Toscana, with Stolichnaya Vodka and Michael Mondavi. We’re talking big time wines for the entire World and we’re talking to the guy that makes them. For centuries Dogliani has been a name synonymous with the distinctive wines of Piedmont. Both as a picturesque town that has long been famous for wines produced from Dolcetto – Dolcetto di Dogliani – and today as the family surname of one of Piedmont’s most famous producers of Barolo. 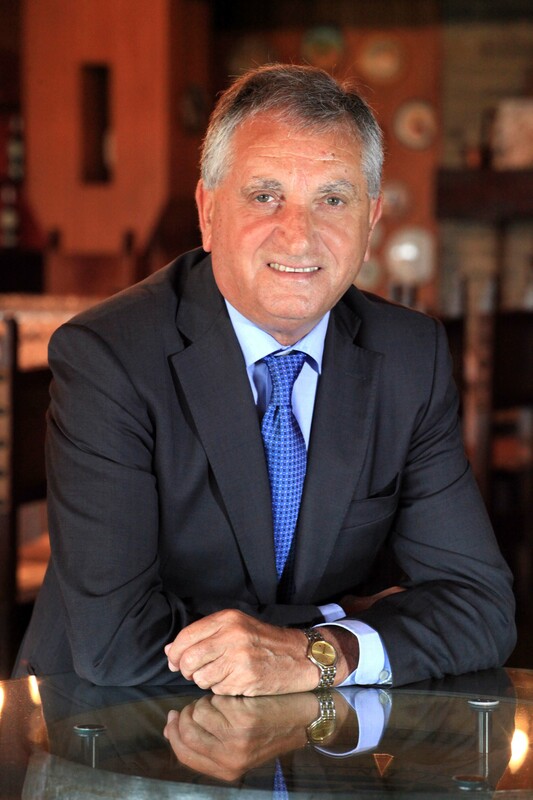 Fiorenzo Dogliani, CEO of the Dogliani family’s Beni di Batasiolo winery, runs the family enterprise, Batasiolo SPA. In addition to the winery, Batasiolo SPA has embraced a wine-country destination lifestyle with its newly built, 38-room luxury hotel and spa, Il Boscareto which was opened in Serralunga d’Alba in 2009. The Dogliani family’s winegrowing history spans four generations in Italy’s Piedmont region and traces its origin to just seven and a half acres of Nebbiolo vines in Barolo. With the launch of Beni di Batasiolo in 1978, the company’s vineyard holdings now total 345 acres from nine vineyard sites and four growing regions: Barolo, La Morra, Monforte D’Alba and Serralunga D’Alba. 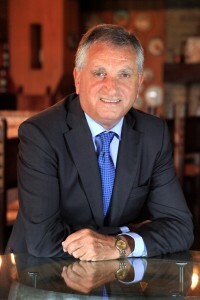 As CEO, Fiorenzo directs the company from the Beni di Batasiolo winery located in La Morra Cuneo. In the late 1950s, Fiorenzo is credited with reaching beyond the borders of Piedmont to market the family’s wines to restaurateurs in nearby Milan. 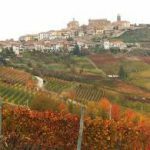 It was this bold first move that established a presence for the company’s wines on the domestic market and foreshadowed Fiorenzo’s future role as an evangelist for the Piedmont region on the world market. Fiorenzo was among the first Piedmontese winegrowers to travel extensively to promote his wines Fiorenzo’s early efforts helped raise visibility for the company’s long-lived Barolo and Barbaresco wines and establish a reputation for quality, one that is rigorously pursued at Batasiolo. By 1979 he was traveling to New York and Toronto introducing the trade and consumers alike to joys of Nebbiolo, an effort that helped speed the evolution of American palates at the time towards the appreciation of dry, sophisticated wines. Canada is the number four market in the World for Batasiolo. In order to talk to Fiorenzo and also travel the Piedmont district we needed a translator, wine expert and driver and we found him in Richardo March. Director of US and Canada sales for Batasiolo. 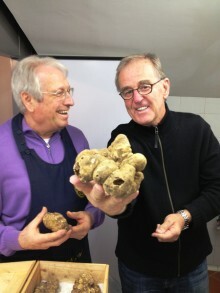 The famous ‘Tartufo d’Alba‘ is a marvelous gift of nature and a symbol of the rich cuisine of Piemonte. The truffle was known in antiquity, not just for its inherent culinary qualities but also as an aphrodisiac! Scientists discovered that truffles contain a volatile alcohol with a strong musk flavor, a chemical brother of testosterone. No doubt this is something the ancients knew all along. The secret to enjoying the truffle is to avoid using it with other strong flavors. 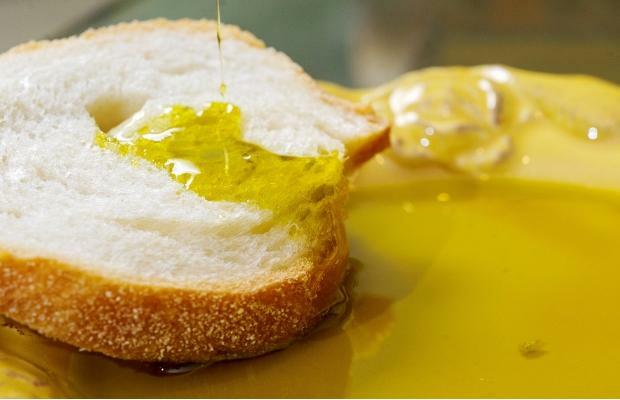 It is perhaps best served as an antipasti, buttered on whole meal toast or over pasta as shards with butter and parmigiano reggiano cheese. In a country where food equates with love as one of life’s great pleasures, ‘tartufi’ are literally worth their weight in gold. The delicate white truffle variety, only served raw, grows in Northern Italy and Umbria. Piedmonte is the heart of white truffle country, where the famous Alba festival provides a magnificent backdrop of Romanesque ruins, Gothic spires and Baroque bell towers every October. Thank you Batasiolo. 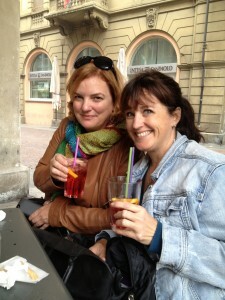 Thank you Kimberly and thank you Italy!! The last show of 2013. (Dec 25th is all Classical Christmas music on CKUA) The Wine Diva kicks things off with two great Holiday lists. 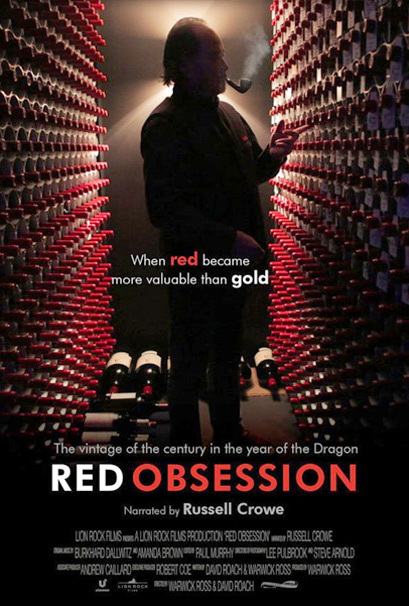 We talk to Warwick Ross who produced and directed Red Obsession..a beautiful documentary about Gran Cru Bordeaux wines and the Chinese fixation with them. Then it’s a swing through the Okanagan. 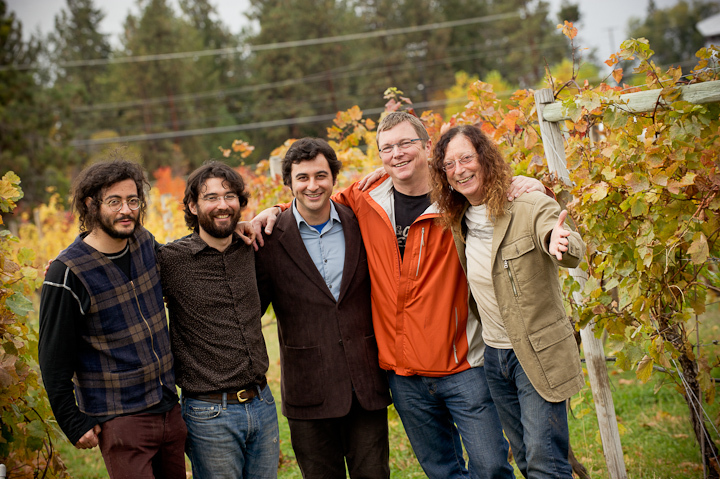 Featured are The Cipes of Summerhill, The Luckhursts of Road 13 and Mark Simpson of The new BC Wine Studio. Now we’re headed for three stories in The Okanagan The Family Cipes. I met Stephen Cipes and 3 of his four sons Gabe, Ezra and Ari as they passed through Vancouver. They had much to talk about.. Summerhill Pyramid Winery’s Cipes Rose received a gold medal and was named as a top world wine at the Effervescents du Monde, judged in France Nov. 13 to 15. 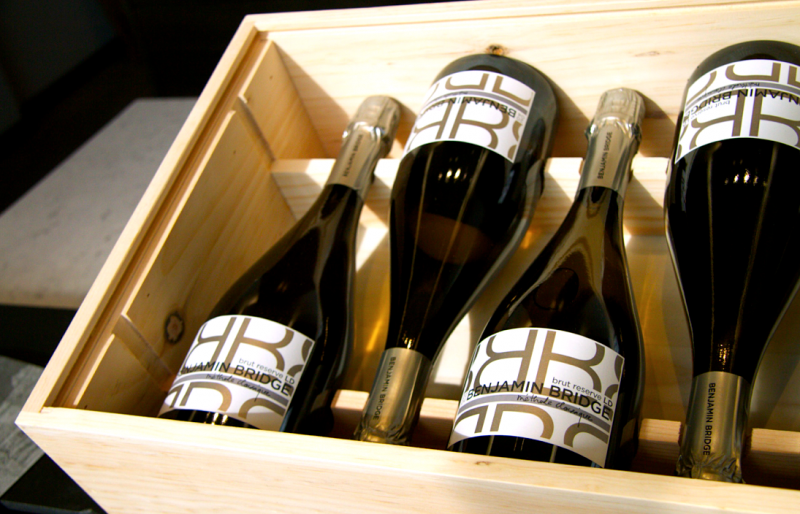 It was the only North American sparkling wine to place in the international competition. This is a great round table discussion between a founding winery Father and the Sons he passed his winery on to. www.summerhill.bc.ca [divider] I love talking to Pam and Mick Luckhurst of Road 13, just South of Oliver on the Golden Mile. 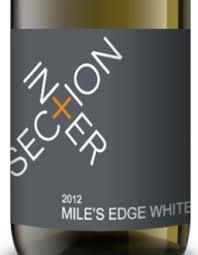 Golden Mile Cellars was acquired by the Luckhurst Family in the fall of 2003. Along with a great team and winemakers Michael Bartier and now JM Bouchard, they have created a go-to destination and very popular wines. Just like the Cipes, Mick and Pam are now working alongside their son Joe! Also.. in a business that likes to talk without actually saying anything..the Luckhursts give straight up answers..with NO BS. Gotta love that. Chefs David Hawksworth & Suzanne Goin – talk food, books and …food!! 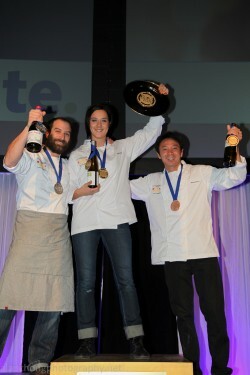 This year’s Gold Medal Plates Winning Chefs from Edmonton, Calgary and Vancouver have the spotlight. Chefs Paul Shufelt (Edmonton) – Duncan Ly (Calgary) – Brian Skinner (Vancouver). Then its James Nevison and his 2014 edition of Had a Glass. 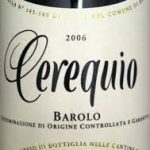 Top 100 wines under $20. It’s quite possible Benjamin Bridge may have made one of the best bottles of bubble in Canada. 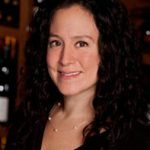 Daenna –The Wine Diva joins me for a round table discussion with Ed Flaherty Chief Winemaker for Tarapaca in Chile. Great wines at unbelievable prices. Gold Medal Plates is the ultimate celebration of Canadian Excellence in cuisine, wine, the arts and athletic achievement. 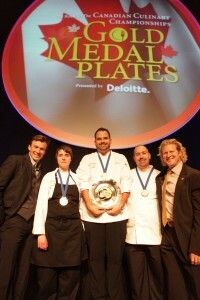 Celebrated in eleven cities across Canada in 2013, Gold Medal Plates features the premier chefs in each city in a competition to crown a gold, silver and bronze medal culinary team in each city, and subsequently nation-wide at the Canadian Championships in Kelowna BC in February 7th and 8th. Chef Brian Skinner of The Acorn in Vancouver, BC proved his culinary prowess taking home the gold award at the Victoria 2013 Gold Medal Plates competition held at the Victoria Conference Centre. Brian went head-to-head with 10 of British Columbia’s finest culinary masters at the prestigious culinary competition and will go on to compete at the Canadian Culinary Championships, the Gold Medal Plates Finale, in Kelowna on February 7th and 8th, 2014. Brian Skinner wowed the judges with a dish of smoked king oyster mushroom, braised shallot, carrot, and mushroom jus, which was paired with 2009 Clos du Soleil Grower’s Series Chegwin & Baessler Pinot Blanc. 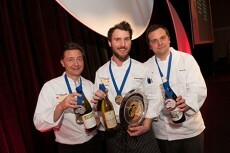 Chef Paul Shufelt of Century Hospitality Group proved his culinary prowess tonight taking home the gold award at the Edmonton 2013 Gold Medal Plates competition held at the Shaw Conference Centre, which was the largest Gold Medal Plates event ever held. 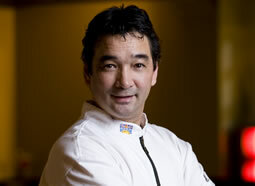 Chef Shufelt went head-to-head with ten of Edmonton’s finest culinary masters at the prestigious culinary competition. Chef Paul wowed the judges with a dish of pomegranate braised Tangle Ridge Ranch Lamb, chanterelle, mushroom and farro risotto, baby candy cane beets, which was paired with Mission Hill Family Estate 2010 Select Lot Collection Syrah. Chef Duncan Ly of Yellow Door Bistro . On November 2, Duncan took home the gold award at the Calgary 2013 Gold Medal Plates competition. He is now a three-time medalist having previously won bronze in 2012 and gold in 2010 at Gold Medal Plates. Duncan took the gold medal with the Vietnamese style braised pork neck, pig’s ear and side stripe prawn terrine with confit baby squid, Asian hot mustard & garlic sauce. This was paired with a Peller Estates Ice Cuvee Rose from the Peller Estates winery in Ontario. Tasted and tested – 100 wines that offer you the very best value for money across the best whites, pinks, reds and bubbles for 2013. • How to taste wine (as opposed to simply drink wine! ): James’s patented Four Step Process explains what to look for in a wine’s colour, clarity, aroma and bouquet, and how to understand a wine’s body and finish. • How to buy wine: Advice on how to navigate the wine aisles, along with tips on how to seek out value in the liquor store. • How to enjoy wine: The various accoutrements available to wine enthusiasts, with info on serving temperatures and a quick-reference serving temperature chart. • Food and Wine: A handy rundown of food and wine pairings covering all the major food groups. We welcome back James Nevison. The Benjamin Bridge vineyards are located in the heart of the Gaspereau Valley on the Bay of Fundy, where the cool climate bears an uncanny affinity with the Champagne region of France. Their experienced winemakers work in collaboration with international experts to produce world-class Méthode Classique sparkling wines and limited edition luxury wines. The winery needed a lot of cash and serious winemaking talents. 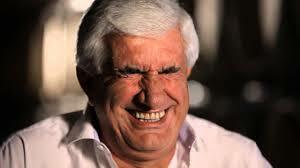 The money guy with the passion is Gerry McConnell..who along with his late wife Dara, bought 60 acres in 1999. Longtime lovers of fine food and wine, the couple were inspired by a tour of South African vineyards, and dreamed of creating world-class wines in their native Canada. RAPHAËL BRISBOIS Sparkling Wine Consultant and finally in 2008 JEAN-BENOIT DESLAURIERS Winemaker. Our guests then are Peter Gamble and Gerry McConnell. THIS is an amazing success story!! 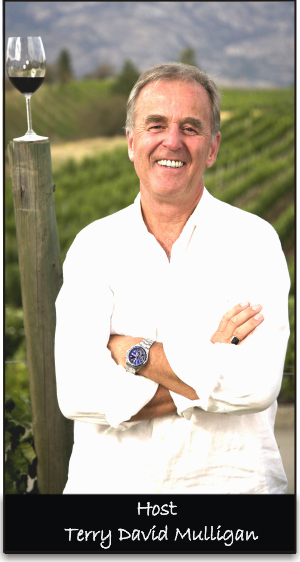 Ed Flaherty – Chief Winemaker at Vina Tarapaca Wines Chile. Ed first came to Chile in 1993 to work a harvest, and he and his wife Jen never left. 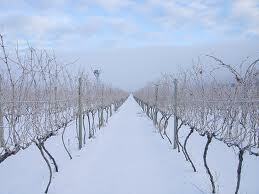 The country has an exceptional climate for wine growing, producing ripe fruit with good acidity and intense flavors. Chile also has some of the best whitewater kayaking in the world, which had more than a little to do with his decision to stay. Over the years, Ed has worked with some of the top wineries in the Chilean industry, including Cono Sur, Errázuriz, and now Viña Tarapacá. He also now makes his own wines called Flaherty!! Daenna van Mulligen and I were invited to West in Vancouver to dine and taste his latest releases from Vina Tarapaca. They are truly wonderful wines but the best thing about them is the price. Most come in well under $20. 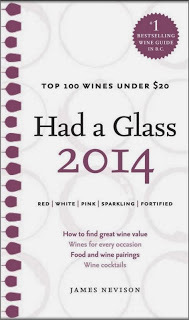 We start where we should start – with The Wine Diva and Part Two of her 2013 Top 100 wines under $20.00. These are wines that have been personally tested and tasted by Daenna van Mulligen and found exceptional. If you think about all that’s up ahead, Parties, House visits, gifts for family, friends and business contacts..why not have a listen to Daenna’s list? All great wines. Under $20? Come ON – whats not to like about that? A collaboration between Chef Daryle Ryo Nagata and third-generation fisherman Paul Puratich, Seventeen89 Restaurant +Lounge is the Vancouver’s West End’s tastiest new local with a storied history. The partners share a love of delicious, unfussy food made with the very best ingredients they can find. With one partner Capt Paul , who’s spent most of his life at sea, Seventeen89 offers an abundance of fresh-off-the-boat fish and shellfish, plus creative vegetarian and gluten-free dishes, tasty tapas and Alberta Spring Creek Ranch beef. @1789 Restaurant on Facebook and Twitter. I find the boys stories as interesting as the room. Especially the family background of Chef Nagata whose GrandFather and Father were sent to Lethbridge against their wishes by a government panicked by World War Two. Seasoned cookbook author and food columnist for the Globe & Mail, Lucy Waverman, has paired up with Beppi Crosariol, wine columnist for the Globe & Mail to bring us an inspiring book, The Flavour Principle, full of delicious recipes and thoughtful wine accompaniments. Every great dish has a centre of gravity, a flavour or essence that pulls together other ingredients into a coherent and compelling whole. Indian curry spices, fiery Thai chilies, lemony citrus, smoky barbecue rubs—these are all flavours that we adore and that get our taste buds asking for more. Flavour is, quite simply, what makes us passionate about food and drink. At last, here is a cookbook that focuses on this fundamental concept. Organized around eleven distinctive tastes, from spicy to tart to bitter and beyond, The Flavour Principle features more than thirty gorgeous menus with complementary—and sometimes surprising—beverage pairings. Covering flavours from all over the world, this cookbook is a journey around the globe. Modern and eclectic in approach, The Flavour Principle has broad appeal to food and wine lovers. 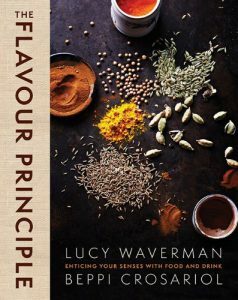 Like A Matter of Taste before it, The Flavour Principle sets a new standard in food and- beverage pairing cookbooks. LUCY WAVERMAN is a leading Canadian food writer. Author of eight cookbooks, she has won numerous culinary book awards and honours. She is the food editor of the popular Liquor Control Board of Ontario magazine, Food and Drink (600,000 readership), and writes a weekly column for The Globe and Mail’s Life section and a bi-weekly columnin its Style section. 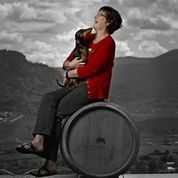 BEPPI CROSARIOL has been The Globe and Mail’s wine and spirits columnist for twelve years. His columns regularly cause a rush on liquor stores across Canada as avid readers run to buy up his recommendations. 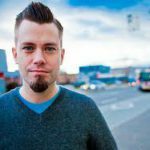 His readership is broad, covering both the establishment and younger urban drinkers who want guidance on wine and great tips on less expensive bottlings, served up with candour and humour. Movie financer and master mind behind some of the most outstanding mining transactions in Latin America, Frank Giustra, Canadian born banker joined Mexican Billionaire Carlos Slim and President Bill Clinton to fight poverty in the region. 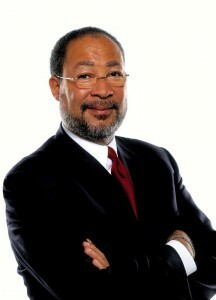 Rather than attempt to list all of Franks business credits..May I suggest you just Google his name? Now. 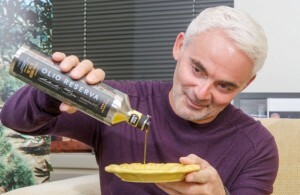 About Frank and his Olive Oil..
Frank Giustra always carries several bottles in his luggage whenever he travels. It has only been three years since Frank bought his first olive tree in Umbria, Italy. At the time, he knew nothing about olive oil and was buying it at Safeway like everyone else. 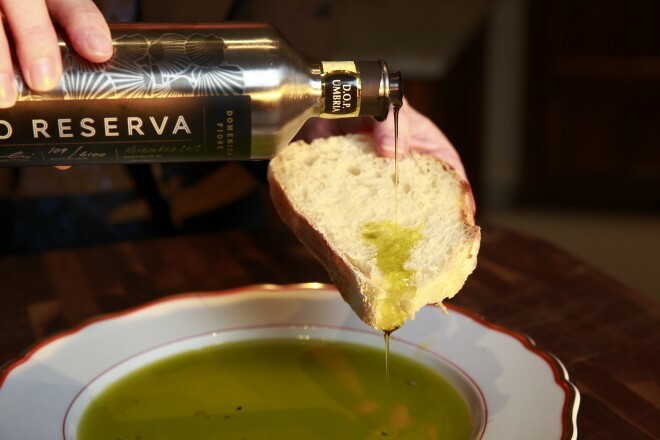 But Domenica Fiore Olio Reserva, named after his mother, has received the highest score of more than 700 entries from 22 countries at the inaugural New York International Olive Oil Competition. He has always loved food, but now he is obsessed. This interview covers how it all began for him..the difference between olive oils..how freshness is a the heart of his oils. 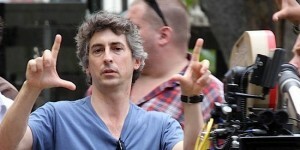 Alexander Payne – The Oscar winning director of Sideways, The Descendants and Nebraska, opening this weekend. 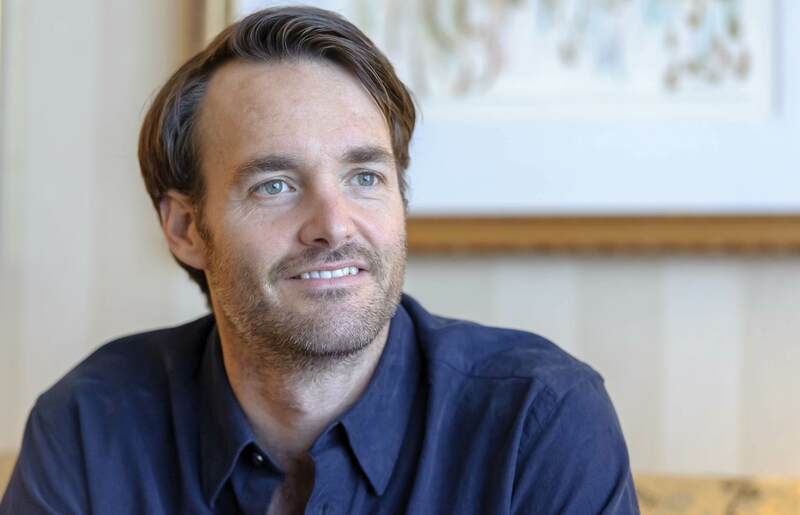 His leading lady – Will Forte from Saturday Night Live. Carlo Mondavi..Surfer/snowboarder explains how The family lost an Empire and gained a single brilliant wine. 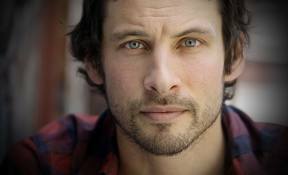 Rocker Sam Roberts explains his love of wine. There’s no class anywhere that can teach what Robert taught Carlo. Being around wine was just part of Carlo’s growing years. Then came the fateful day when the Mondavi Family lost their winery to a corporate Giant. They immediately started planning their future. Making a single World Class wine..on a single piece of land. That wine is Continuum Estate . It’s a brilliant blend of Cab/Cab Franc/Petit Verdot and Merlot. Carlo fills us in on how it all went down. The Sam Roberts Band is about to release their next Album Lo-Fantasy Feb 11. 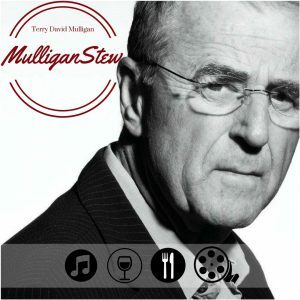 We’ll deal with that fact on Saturdays Mulligan Stew. Sam Roberts is a huge wine fan. We were deep into the Neo cellar and we find a barrel signed by Sam Roberts. I’ve been waiting 5 years to ask him..how that barrel came to be. Sams parents moved from South Africa to Montreal where Sam was born months later. 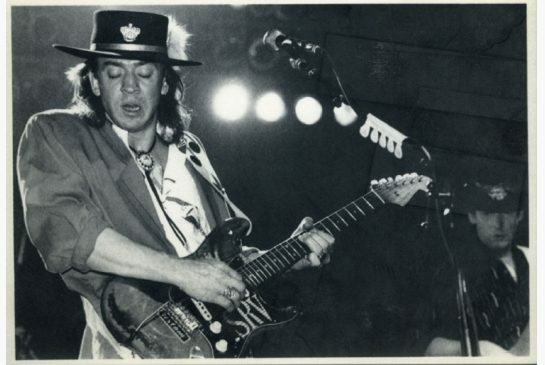 He attended McGill and then hustled the music scene through various bands until he found the right song and the right band. The song was Brother Down and the band became The Sam Roberts Band. Alexander Payne is a one-of-a-kind screenwriter and director. The list of films he’s given us should tell you everything you need to know about his taste and smarts. 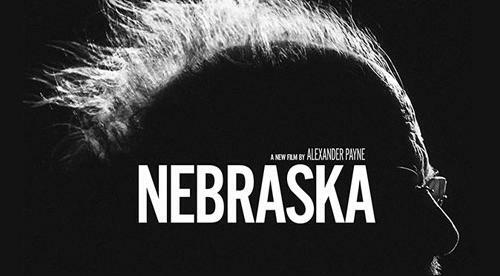 His latest film Nebraska comes out Nov 29th in BC, December 13th in Alberta. Its shot in black and white and stars Bruce Dern as grumpy old guy who refuses to believe that a form letter saying he may have won a Million Dollars is not real. Will Forte from Saturday Night Live plays his son who travels with his Father to watch over him. It’s certainly going to be nominated for Oscars this year. Looking to stock up for the Holidays? Looking for wine to gift? The Wine Diva returns with a timely list. We’ll try to talk about as many of the first 50 as is possible. Frank Giustra creates world class olive oil !! We start with the organizer Mary Zinck. From Whistler Tourism. Then it’s off to the Trade Tasting at the Convention Centre. Chef James Walt and Wine Director Samantha Rahn (Sommelier of the Year) at Araxi. Big Guns Dinner. 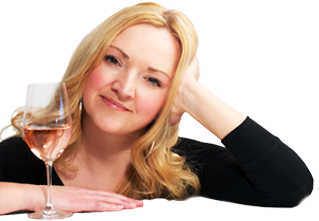 Daenna van Mulligen – The Wine Diva. On bubbles and other pours. The Wine Monkeys – Keith Nicholson & Paul Watkin. Can real men drink Rose?? If you can’t get to hear the whole show..or there’s too much info..it will stay posted here for weeks. Alexander Payne – Director of Sideways..talks about that film and his love for wines. Blue Rodeo have just released another album. In Our Nature is their 13th studio release in 26 years. 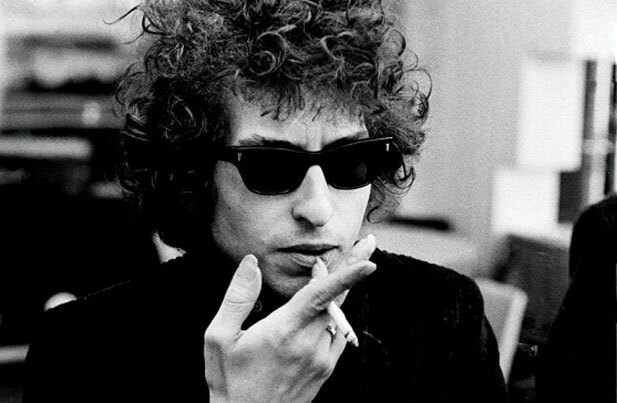 Recorded at Greg Keelor’s farm, its decidedly acoustic, in part because of Greg’s hearing loss. 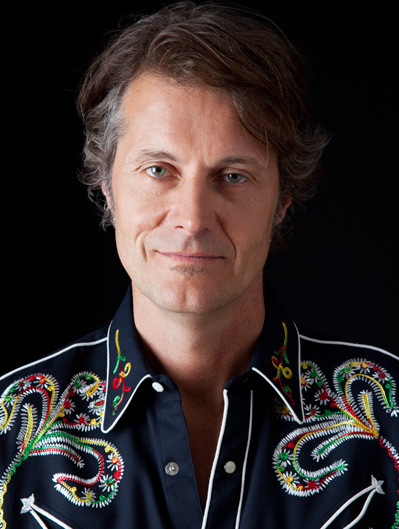 I made plans to meet Jim Cuddy – his writing and singing partner – in the lobby of the Fairmont Pacific Rim in Vancouver as Jim was touring and playing as part of the annual Gold Medal Plates Culinary Competition. 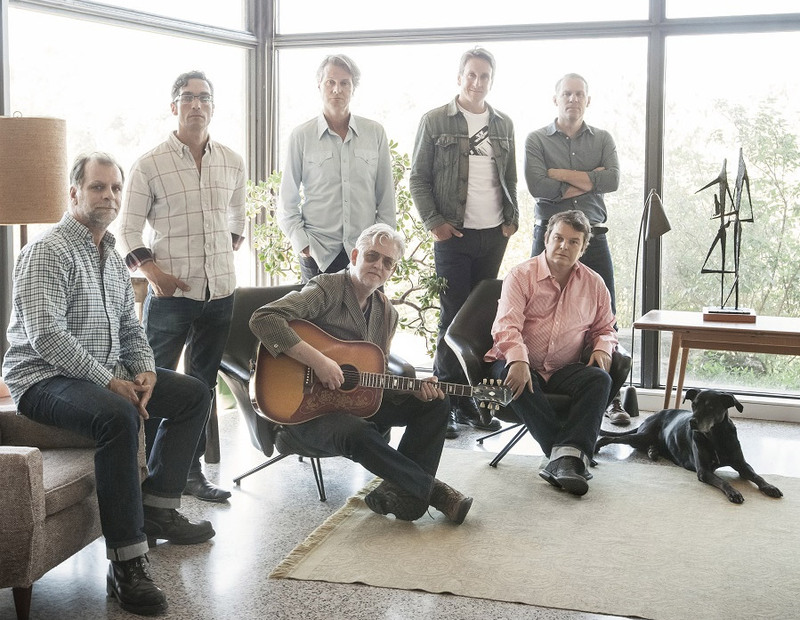 We talked about the new music and the addition of guitarist Colin Cripps who plays in The Jim Cuddy Band. The bulk of the talk will be heard on Mulligan Stew @ CKUA radio Saturday Nov 16. Jim and I always talk wine when we get together. Because he has given so much to GMPlates, he’s asked to be part of various trips that are auctioned off..so there are stories there. He’s discovered a new paella dish at Carmen in Toronto and thus he’s washing it down with Ribera del Duero wines. The Devon Cuddy band opens the shows. 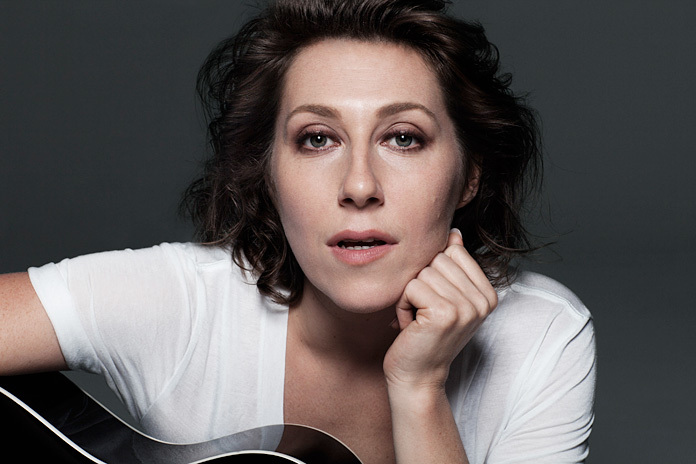 There’s also a Mulligan Stew connection to the next guest Martha Wainwright..of the legendary Wainwright/McGarrigle Families. Her brother is Rufus Wainwright. Her Dad is Loudon Wainwright 111. Her Mother Kate McGarrigle lost her battle with Cancer in 2010 just months after Martha had given birth to her first child. All of those emotions played out in her current album Come Home To Mama. At the end of our conversation..I asked Martha about her relationship with wine and off we went. Because she’s pregnant again, she’s stopped drinking but you can tell she’s a wine fan through and through. We’ve aired the story of Plume before on TRR. A really good Napa Cab that come out of nowhere at $25.00 but tasted like $35. It was the result of a partnership between two wine families. 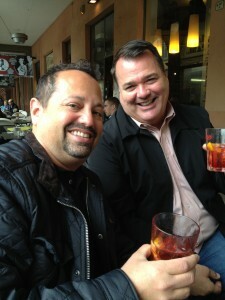 The Zepponi’s of Napa and Stewarts of The Okanagan. Dan Zeponni first wine memory is planting vines along the Silverado Trail at the family vineyard. 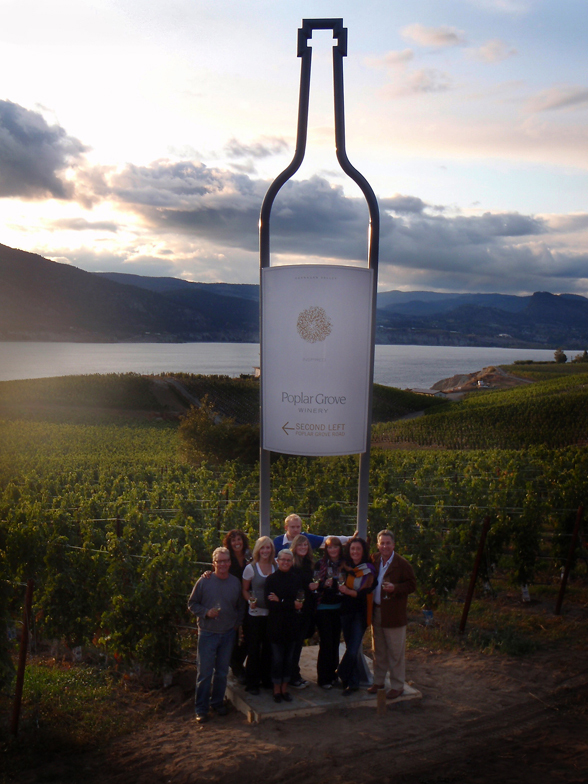 Tony Stewart and his family did the same above BC’s Okanagan Lake at Quails Gate. 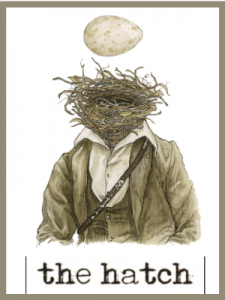 Now they’re making Plume and introducing a new label into their portfolio – Lake Sonoma. Here’s the complete story and how they may just be the Tip of a very large Iceberg. 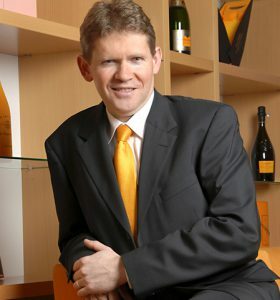 Dominique Demarville is the very lucky Cellar Master at Veuve Clicquot. The makers of fine champagne for 240 years. Dom says he can still feel the presence of Madame Clicquot in the darkest corners of the cellars. This quiet conversation made its way through the history of the label, how he felt when he first walked into those cellars and what makes Veuve so unique. We agreed on the value of the bubbles. Best bubbles in the World. The label has a special place in this world. Whenever someone wants to celebrate a marriage..a graduation, a conquest or to remember someone departed..a bottle of Veuve Clicquot usually finds its way into the occasion. Special place that. Former Citigroup Inc. Chairman Richard Parsons, whose career in banking and media saw him at the helm of the industries’ biggest companies, is betting he can make money in retirement in the wine-rich Tuscan hills. Twelve years after buying Il Palazzone, a Montalcino vineyard perched on the ancient trail to Rome, Parsons is getting serious about winemaking, turning a hobby into a business. He’s built a new cellar he inaugurated with this year’s harvest and plans to double production of his finest wine, Brunello, turning Il Palazzone into a profitable activity within five years. 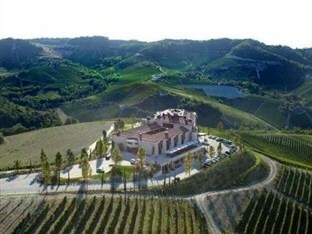 Despite its name, il Palazzone, or “the big palace” is actually quite a small winery making less than 1,000 cases of Brunello di Montalcino annually. While the estate is roughly 20 acres, the vineyard area authorized for the production of Brunello di Montalcino is a mere 10 acres. Il Palazzone recently completed construction of a new cellar, designed to blend beautifully into the landscape and minimize its carbon footprint. While the cellar utilizes the best of modern technology, the vineyard still creates its Brunello in the traditional method by aging the wine in large, Slavonian oak barrels for nearly four years. The InterVin International Wine Awards is designed to recognize and celebrate the very best wines available to Canadian consumers. An entirely objective, blind tasting format has been developed that utilizes a team of qualified and respected judges. 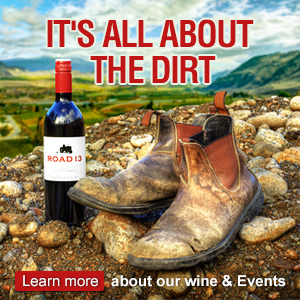 The panel features wine industry professionals with backgrounds in hospitality, media, education and winemaking. 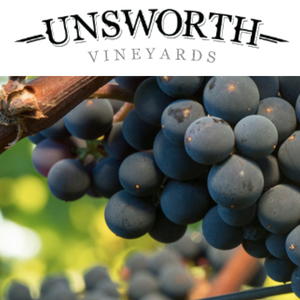 Competing wines are grouped by varietal or style ensuring that each is fairly evaluated. Judges awarded gold, silver and bronze medals in each category as well as determine the prestigious top awards for the overall best wines. 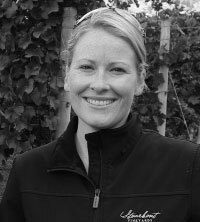 One of the highly qualified judges was Daenna van Mulligen – The Wine Diva. The results are now out but Daenna has her tasting notes and gives us the inside edge on who won what and why.